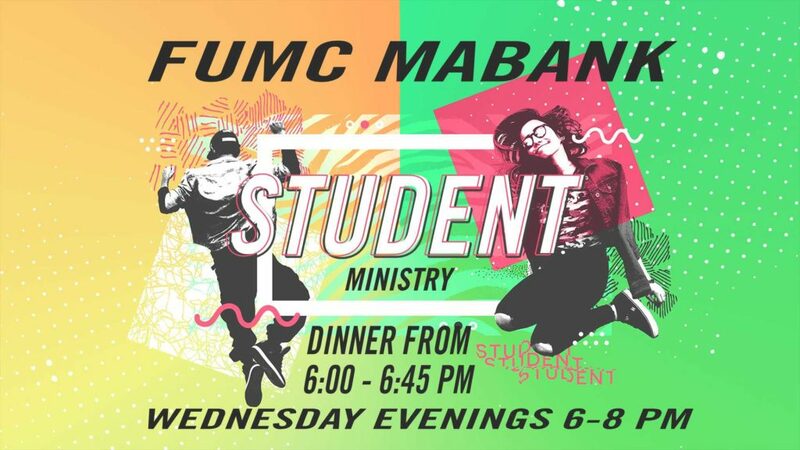 FUMC Mabank youth includes all community youth who are currently enrolled in the 6th-12th grades. A place where you can come for dinner, fun, fellowship, and just be YOU! Our Student Ministry Gatherings occur on Wednesday evenings from 6:00 p.m. to 8:00 p.m. with a home cooked meal between 6-6:45 p.m.
For more information regarding youth ministries, please contact the church office at 903-887-3691 or email Olivia Pannell, Director of Student Ministries with questions at olivia@fumcmabank.com. With the use of With LIVE™ Books of the Bible, young people will discover the beauty and relevancy of Scripture through this flexible curriculum resource that touches on all 66 books of the Bible. As we journey through the entire Bible together, our plan is to help our youth see the bigger picture of God’s story and gain appreciation for his redemption plan through Jesus.